We had our first Siem Reap breakfast at one of the most popular restaurants in Cambodia. A branch is a few steps away from our hotel, and it would be easier for us to go back as we were about to be fetched by our tour guide. 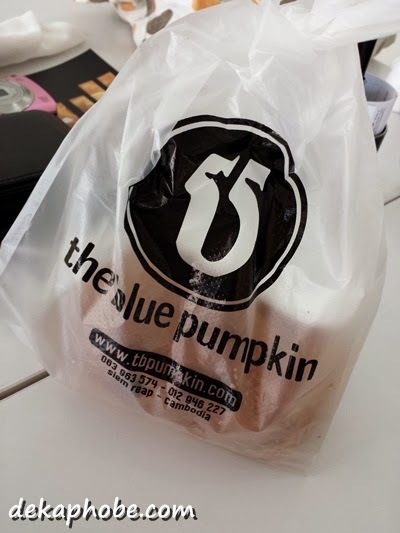 The Blue Pumpkin is modern yet simple. 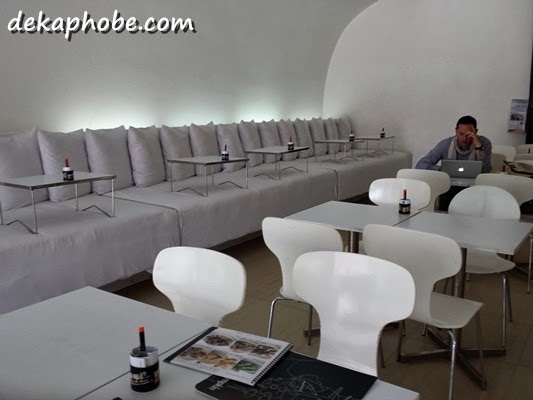 There are tables, but there are couches where you can eat as if you're eating breakfast in bed. 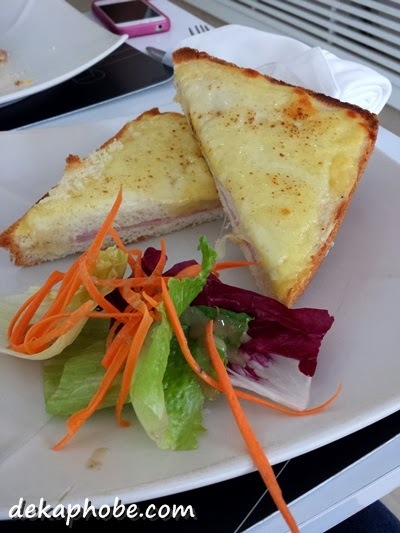 For breakfast, I had Croque Monsieur (3 USD or Php 135) while my friend had a Quiche Lorraine (3 USD or Php 135). Our orders were reheated before being served. I thought my Croque Monsieur wouldn't be enough for me, but it was surprisingly filling and good enough for its price. 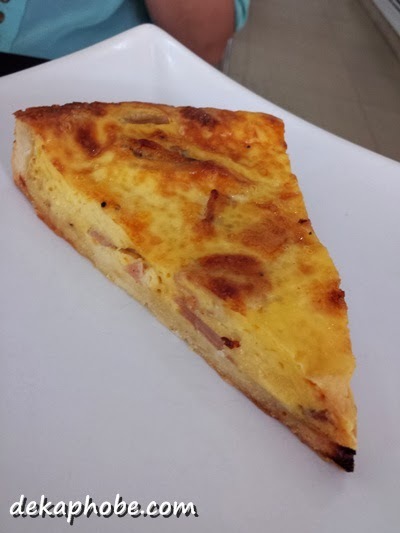 However, my friend thought her Quiche Lorraine was a little salty for her taste. 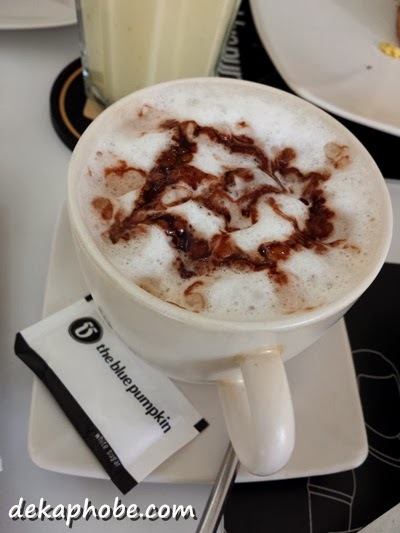 For drinks, I got a Latte (2.25 USD or Php 101.25) while my friend had a Mango Yogurt Smoothie. 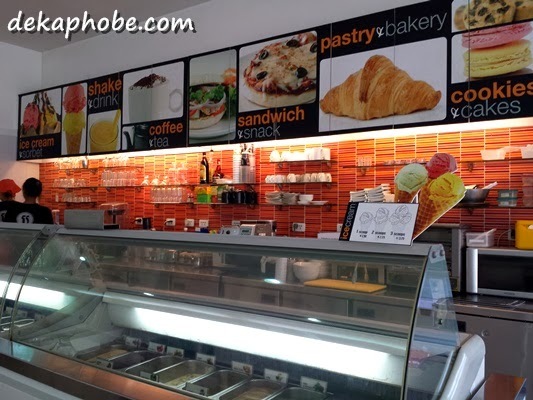 Since we didn't try the ice cream the first time we visited, we went back the next day to try them. 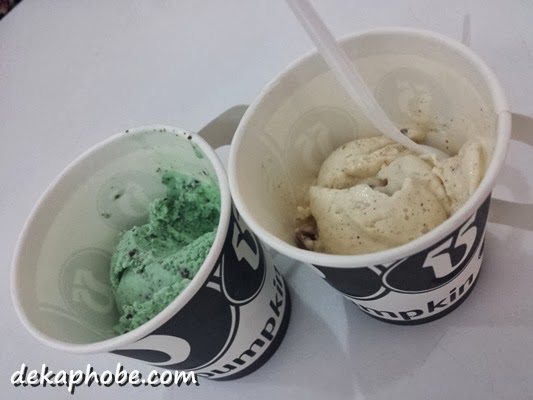 We tried Chocolate Mint and Cinnamon & Speculoos flavors (1.25 USD or Php 56 per scoop). Amazing and delicious! I like the couches that gives the breakfast-in-bed feel. If I ever get there, you know where I'd sit hehe... 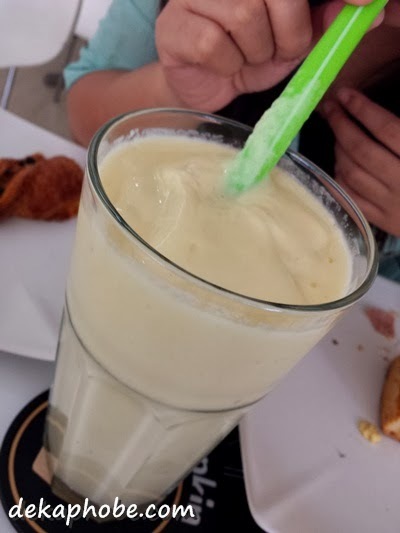 The mango yogurt smoothie looks real creamy, I'd love to give that one a try. Looks tempting! Hehe! I wanna travel tuloy! Ahhh! Itchy feet hehe!